Get to know the SOU Softball Head Coach Jessica Pistole, her coaching journey, her thoughts on this past season, and what to expect this upcoming season. Before coming to SOU, head softball coach, Coach Jessica Pistole knew what it took to not only be a part of, but to create a successful softball program. In her collegiate career she played volleyball and softball for Biola University. At Biola, she was a three time All-American and received a Bachelor of Arts in health psychology. After finishing school, she became Biola’s head softball coach and was extremely successful in her first year of coaching, leading the Eagles to a 51-46 record in two seasons, and a 26-19 record in her last season there. She then took over the head coaching position for William Jessup’s volleyball team and shortly after, Pistole decided to build a softball team there from the ground up. In her second season, she led the Warriors to the 2011 California Pacific Conference championship and earned the Cal Pac Coach of the Year award. Pistole left the warriors with a 56-38 record. After briefly coaching at Utah State as an assistant coach, she moved on to coach a high school team in Twin Falls. In both seasons her team won the District 4 title and Pistole was named Great Basin Athletic Conference Coach of the Year. She then set her sights on our Southern Oregon University softball team and the team has been making a lot of noise since she arrived. The Raiders had their most successful season yet. They broke SOU softball history and were ranked No. 6 in the postseason by the NAIA Top 25 poll. The Raiders were No. 20 after winning the Cascade Collegiate Conference tournament and made it to Florida before losing to Oklahoma City. They ended their season with a 46-15 record. There are high expectations for the SOU softball team this year, and Head Coach Jessica Pistole is ready to lead her new team into another successful season. Nicole Cardoza has a BA degree in English from Southern Oregon University. She was the co-caption of the 2016-2017 Raider softball team that participated for the first time in the NAIA World Series. Nicole Cardoza: What were some of the difficulties you had to overcome in creating William Jessup’s first ever softball program? Jessica Pistole: There were several challenging aspects of starting the program at William Jessup that included raising all of the money to operate for the year, recruiting a team of 20 student-athletes to come play just 4 months before school started, and finding a coaching staff of good people who were on board to volunteer their time as well. But all of those things came together and it was a very rewarding experience. Nicole Cardoza:Why did you choose to come to SOU? 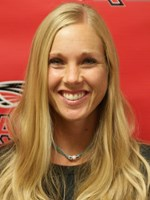 Jessica Pistole: Prior to coaching here at SOU, I was coaching a high school team in Twin Falls, Idaho. As a family, we knew we were leaving Idaho after the season for various reasons to head back towards the West Coast but it wasn’t until after coming to SOU for an interview, that our energy completely shifted to Ashland and joining the SOU community. I was already familiar with the Cascade Conference and knew I could run a good softball program here, but it was definitely the people in the Athletic Department and all that SOU had to offer that solidified the decision for us. Nicole Cardoza: What were some things you knew that had to change right off that bat? Jessica Pistole: I didn’t come in here thinking I had to change anything specific. I only knew one way to run a program and I knew the culture I wanted to create and be a part of. So, I started from the bottom and began to implement the little things that I believed would get us there. Nicole Cardoza: Coming into this softball program, were you intimidated or nervous by all that was going to have to be done in order to turn SOU softball into a successful program? Jessica Pistole: It wasn’t intimidating to me because my experiences as a coach up to this point had prepared me. I have been a part of starting a program or taking over programs in several places so I felt like I knew what I needed to do in order to be successful. I had the motivation to return to coaching at the college level and now had the experience of coaching at the high school level as well so I felt well equipped. Nicole Cardoza: When did you feel like there was some serious progress happening? Jessica Pistole: I felt like we began to make progress from the very beginning with my first group in 2014. Everyone was eager to work hard and wanted to be a part of a championship program. After the difficulty of the fit tests and the first couple weeks of challenges, those that remained were on board and jumped in with both feet. Since then, each year, we have a new group that is ready to commit to the little things we do on and off the field on a daily basis and if we are getting just 1% better each day, we are continuing to make progress. Nicole Cardoza: What were some challenges or bumps in the road? Jessica Pistole: Every season has its challenges and every year has brought different types of adversity that we’ve navigated as it’s come. One thing I’ve realized is how important it is to have a group that is committed to the big picture and willing to do the little things (and make the sacrifices) it will take to get there. It’s a long year and it’s challenging to start and kindle the fire so that it can become strong enough to take us through those difficult patches along the way and hopefully be at our best to get us all the way through May. Nicole Cardoza: How do you keep players motivated and excited? Jessica Pistole: Ultimately, the motivation has to come from within each person but I try to do my best to help each person find that. It’s also very important for me to model that motivation in my own life. Being a wife and mother of 4, balance is very important for me to be able to be the best coach I can be. I try to mix things up and we do creative team activities often, but those are only tools to help guide them. I am a firm believer in our preparation being tough so that when we hit our season of competition, we can trust that we are ready. Nicole Cardoza: This year was the first time ever in SOU softball history that we have made it to the World Series. How does that feel and what did it take to get your team in that position? Jessica Pistole: I think our trip to Mississippi was something really special for our team. Our journey to the World Series was exciting and very rewarding to see the fruit of all the hard work we put in over the course of the year. Making it to the World Series was a great accomplishment for our program, but I believe we are capable of not merely making it, but winning it. 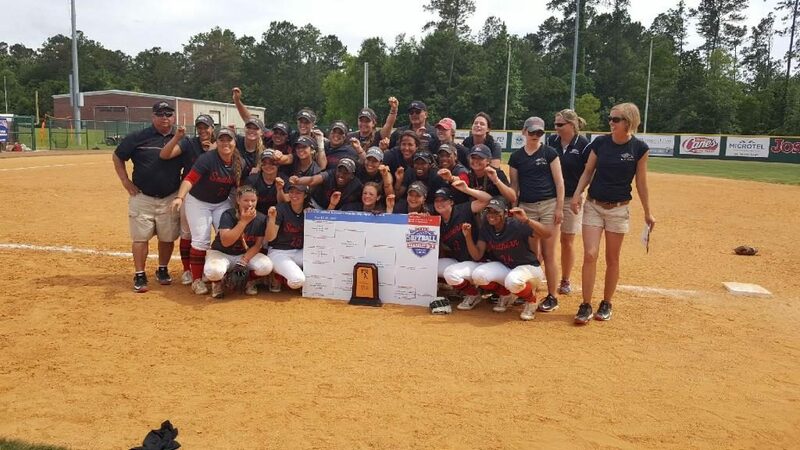 Nicole Cardoza: We didn’t win the whole thing, but we are all very proud of the success and eager to see how far SOU softball will make it this upcoming season. How are you getting your new team ready for this upcoming season? Jessica Pistole: The hunger for our returners started when we got back from Florida. We got a little taste of playing for the championship and we came back knowing that we have the ability to do it. As for our incoming group, they are a talented, eager group that are ready to come in and help take our program even further. Nicole Cardoza: Is there anything you’d do differently this year? Jessica Pistole: Each year, our group is different and we need to be ready to adapt in some areas to what works best for that team. That will definitely be the case this year. However, there are values and expectations that don’t change from year to year. This upcoming season, we have a big group of incoming players but we also have a group of returners who have been around and bought into the process. I will rely heavily on our returning leadership to guide and show the new players what it means to be a part of SOU Softball. Nicole Cardoza: Who can we expect to be big game changers on the field this year? Jessica Pistole: Shortstop Kelsey Randall is a four-time All-Conference/All-American that has been a big contributor for us every year. Harlee Donovan, a JC transfer from last season will continue to be an impact player in our offensive line-up and behind the plate. Also, we have two returning sophomore pitchers, Karlee Coughlin and Gabby Sandoval, who both had a great first year here as freshmen and we have a strong core of players that were contributors all year for us last year both offensively and defensively. Nicole Cardoza: Any incoming freshmen to watch out for? Jessica Pistole: We have 4 hard working pitchers and a good combination of speed and power in both the infield and outfield in our incoming group of players. I am really looking forward to getting started and watching them bring their gifts and eagerness to SOU Softball this fall. 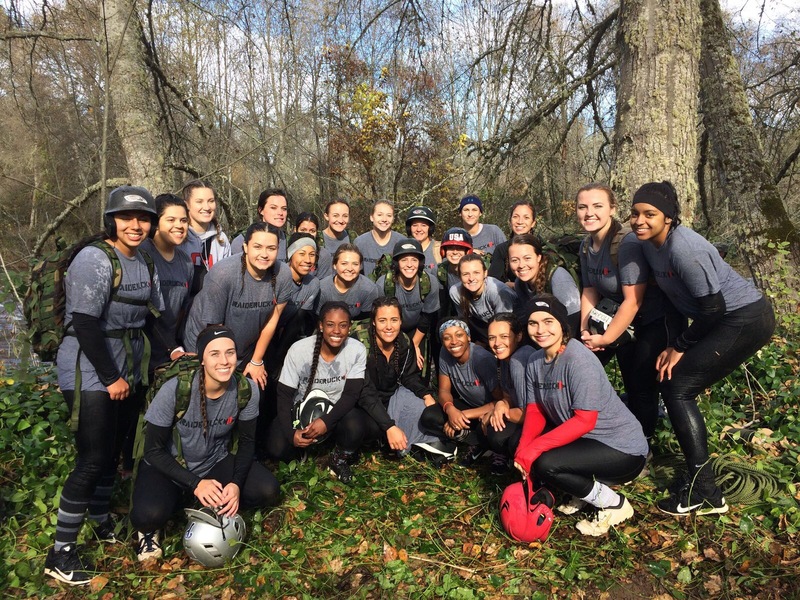 Nicole Cardoza: If you only had a couple sentences, how would describe SOU softball? Jessica Pistole: I think a good way to describe SOU Softball is that we want to be better. Regardless of the successes we have accomplished in the past or the mistakes we have made, I want to be a group of people that is in constant pursuit of a better “us”. We want to become better in all areas of our lives and hold each other to that standard on a daily basis. Softball is definitely something we spend our time doing, but it’s really about trying to become better students, better friends, better teammates, and better human beings. Nicole Cardoza: What are you most proud of in your coaching career? Jessica Pistole: I am proud of the relationships that I have built in my journey as a coach. I have coached several different teams and have many former players and coaches that I still keep in contact with and now get the joy of watching thrive in their lives after softball. I have learned the importance of staying true to the values that I believe in and knowing what I won’t change in my program. Yet at the same time, I have also learned how important change can be and when it is time to adapt to something new. Nicole Cardoza: Well I wish you and your team the best of luck and I hope you guys take it all the way this year!